Sean Kilpatrick's YouTube Channel Deserves An Oscar — OhVarsity! Last night, this tweet from Eric Lilly reminded me of something I haven't thought about in a long time: Sean Kilpatrick was a big YouTube guy in 2010. The first (and only) time I went down this rabbit hole was during my freshman year at UC in 2011-12. Since then, SK has gone from solid underclassman scoring threat to alpha dog to First Team All-American to NBA player. I never thought much of these videos at the time, because SK was a virtual nobody the last time I watched them. In this new light, they're amazing. It's time somebody recognized it. The first batch of uploads came on January 25, 2010. Video #1 features SK alone in the Bearcats locker room at 8am. He sounds like he's just woken up as he pans the camera around the room, pointing out the numerous flat screens and teammate lockers (Yancy Gates and Lance Stephenson). I should mention the most obvious trait of these early videos is the fact that they're all sideways. I don't know why. It's pretty clear these first videos, despite sharing upload dates and titles, weren't taken on January 25th, seeing as they all take place in different settings. This theory is confirmed by Video #7, as SK gleefully describes being in Hawaii, where UC was playing in the 2009 Maui Invitational. "We got your boy Dixon right here," a gleeful Dion Dixon blurts in the background of another sideways video, this time on a boat. "We on the ocean," SK brags before launching into a monologue. "There's not a lot of 19-year-old kids that can really say right now that they're on the ocean. We doin' things that Jay Z and LeBron and D Wade and all of them be doing. I got my shirt off. Tats are showing. I got my necklace on. We doin' big out here!" It's equal parts hilarious and inspiring that this extremely excited 19-year-old kid went from being head-over-heels about his boat ride to signing multi-year NBA contracts. Back in 2010, nobody would've predicted that other than SK himself. The next update after the initial January batch comes on February 19, 2010. Lance Stephenson is dancing in his seat at Waffle House. Yes, it's as good as it sounds. The next video features Stephenson on videography duty. He's with Kilpatrick in an empty Fifth Third Arena where he tells us it's "2 o'clock in the morning." Apparently both are adept at giving viewers context on the time of day. It's the night before the DePaul game in Clifton, which means this is taking place in the early morning of February 24, 2010. "We gotta win," declares Stephenson. "We can't lose no more. That's why I'm in the gym right now." SK dunks before yelling and looking into the camera. "That's how you do it, baby. We ain't losing no more!" The Bearcats beat DePaul, 74-69. The next video is a Lance Stephenson highlight from the aforementioned DePaul game, which is funny in its own way. It has 26,000 views. I have tweeted this video before. I did not know Sean Kilpatrick uploaded it. The next chapter of his YouTube career is something that must be seen to be believed. Guess what it is. Did you guess a three-part series of Sean Kilpatrick & Lance Stephenson webcam rap videos? Because you'd be absolutely correct. I won't attempt to describe them. Watch part one, part two, and part three for yourself. The next noteworthy video features SK at his locker, knees icing after an off-season workout. It's the May after his redshirt season. The videos are no longer sideways, which is a step in the right direction. This one, however, features something even better: Fake local news graphics. I don't even know. The off-season videos aren't as good. There's one where he talks to the camera, thanking the fans for their support during the 2009-10 season. There's one titled "Sean Kilpatrick not knowing he was recording a video!" which I simply do not buy. He dances for a few minutes before pretending to notice his webcam had been recording. 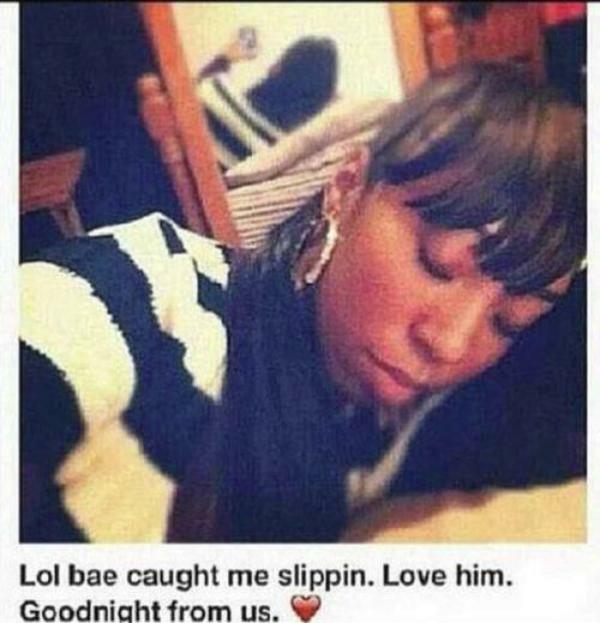 This is a "bae caught me slippin" situation. There are a couple videos of Sean Kilpatrick at a playground basketball court in what I assume is his hometown in New York. Then there's "SK23 Chillin," a video notable only for the fact that it boasts SK wearing some awesome, bizarre glasses. There's yet another "Oops, I was recording?!" video. The next series of videos are from a preseason Canadian exhibition tour the Bearcats took in September 2010. SK is in his freshman year, meaning he's eligible to play. He notes that it's his first time out of the country. The four-part series consists of very short Instagram-type videos, but what's next is predictable: A series of seven Canadian mime videos. Obviously. It's at this point that SK transitions into more voyeuristic, man on the street-style vlogs. There are classics like "A Bum Dancing With T-Spoons," "The Hood In Canada!," "Bum doing the stinky leg!," and "Guy jumped out of a straight jacket!" Logan Paul has nothing on 2010 Sean Kilpatrick. The videos slowed down after this. There's a short clip of Kilpatrick riding around Indiana in a convertible and a 95-second recap of Cincinnati's December 2010 win over Oklahoma, which may have been the most forward-thinking piece of content on the channel. This is a 2010 version of Uninterrupted. It ends with SK telling the story of a fan asking him if the team would make the NCAA Tournament that season. "C'mon son!" Kilpatrick yells. "You know we're gonna make the NCAA Tournament. We're the Cincinnati Bearcats!" Cincinnati made the tournament three months later for the first time since the Bob Huggins era, beating Missouri in the opening round. The Oklahoma recap and tournament promise was the final video of 2010. The only remaining content on the channel is a three-part "documentary" series uploaded in May of the following year. After that it was radio silence, leaving what amounts to a 12-month insider look on Sean Kilpatrick's first year as a Bearcat, six years before he'd sign his multi-year deal with the Nets, completing his journey from unheralded redshirt freshman to real-life NBA player. There's nothing breathtaking here, but I think that's kind of the beauty. Say what you want about SK, but he's never been afraid to believe in himself and never been the one to wait for something to happen. The work ethic has always been there to match the goofiness in these videos, and it's the reason he was able to make his goals reality. But seriously, how great are videos of freshmen Sean Kilpatrick and Lance Stephenson rapping into a webcam?